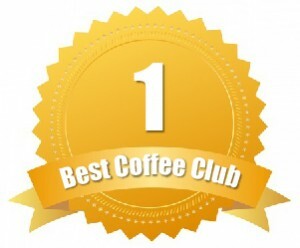 Here’s to the ones scouring the Internet for rare and exclusive coffees. Your fixation with coffee goes beyond traditional bounds, and you’re ready to take a crack at new beans, brewing methods, and the ultimate standard of coffee freshness. The more remote locations these beans were grown in, the better. The quickest time frame between harvesting and brewing, the better. You want the best of the best, and we’re ready to give it to you with this top five list. Have you ever wanted to taste coffees from around the world, and enjoy a surprise in every shipment? That’s what Angels’ Cup offers their members. Each box contains a mystery — and they never tell you what you’re going to receive. 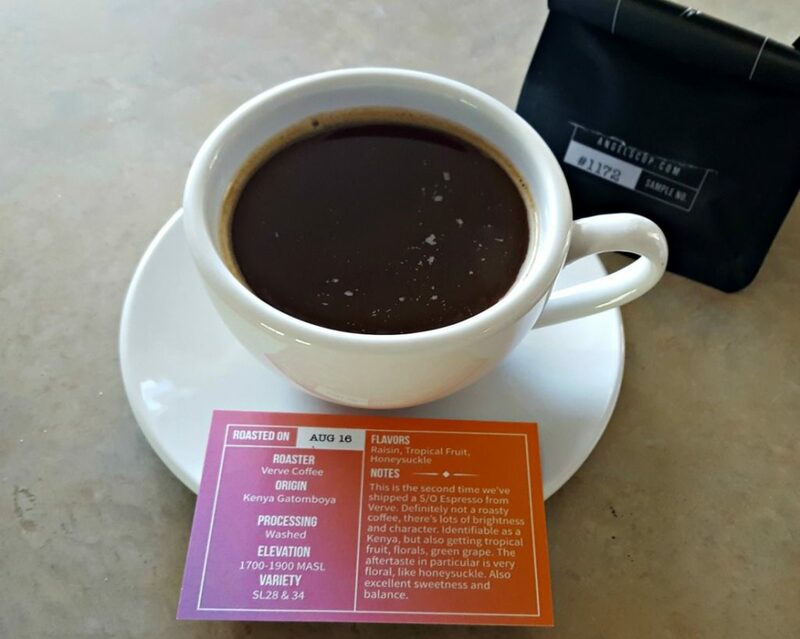 Instead, your coffee arrives in a sleek box, indicative of high-quality coffee, and features blind taste cards so that you can see what flavors you pick up on your own before seeing what the pros have found. To help transform you into a connoisseur, they include their innovative tasting app. The app lets you compare your own tasting notes to the pros and teaches you how to pick up subtle tastes you didn’t know existed in your coffees. Just some of the coffees you can expect include Verve Coffee Roasters Honduras La Fortuna, a vanilla-filled coffee mixed with lemongrass. 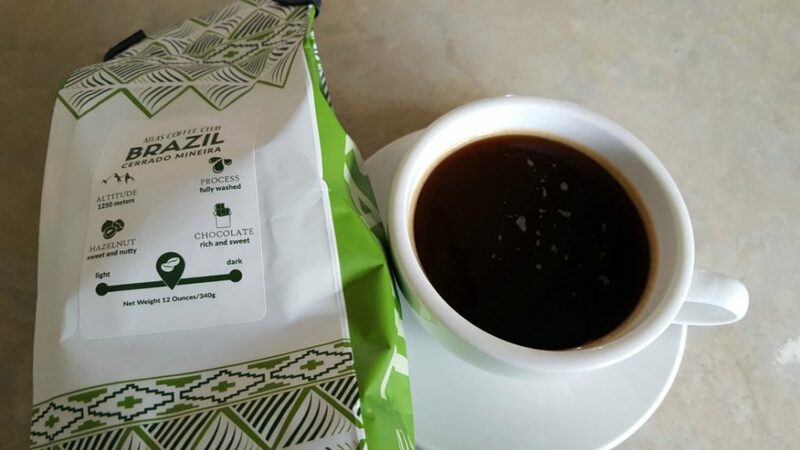 There is also Brandywine Coffee Roasters Colombia Santa Barbara Estate, which combines a dry aroma that is perfectly balanced with notes of tropical fruit and milk chocolate. You’ll have three club options from Angels’ Cup, including the Cupping Flight (four 32-gram samples at $9.99 per shipment), The Black Box (four 2.75-ounce samples at $21.99 per shipment), and the Angels’ Cup All Stars (one 12-ounce bag starting at $19.99 per shipment). Shipping is free with all Angels’ Cup subscriptions. Want to buy your favorites later? Angels’ Cup lets you purchase their coffees outright from their coffee store. Browse past flavors by tasting number, or just pick out a favorite. Atlas is all about sharing and exploring the coffee’s of the world. 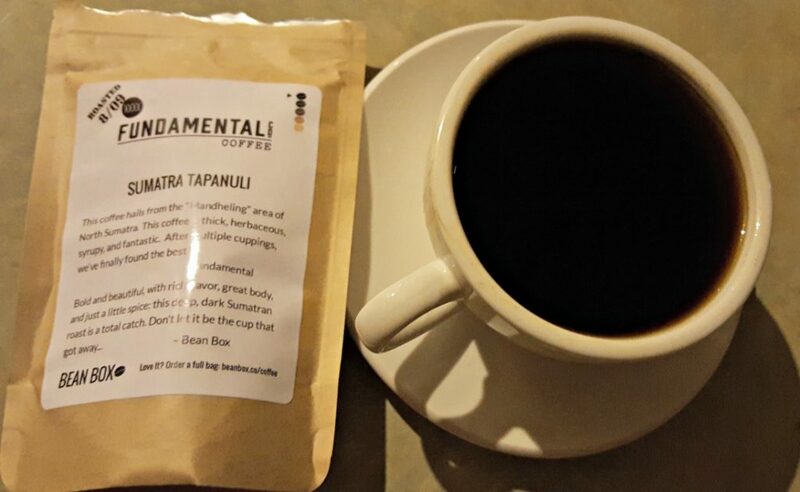 With their online community and vast selection of coffees shipped to your door, you will find nothing finer than a cup of their expertly curated single origin coffees. Atlas pulls their beans from some of the most refined farmers and roasters in the world. They even repackage their coffees to celebrate and honor the region where the beans were grown. You will be pleasantly surprised at the variety Atlas has too. When you sign up, you pick between one, two or three bags per month. Each shipment will contain tasting profiles, the coffee, brewing instructions designed for that specific bean, a postcard from the country, and a sense of adventure. The more coffee you order, the cheaper the per pound price will be. Each bag is 12-ounces and shipping is free. 1 Bag is $14, 2 Bags is $28, and 3 Bags is $42 per shipment. Want to subscribe to your favorites? Atlas also lets you go through their coffee shop and directly subscribe to your favorite coffees. If you subscribe, you get a 7% discount. Seattle could very well be called the coffee capital of the United States. Bean Box sources every single one of their coffees from roasters around Seattle, giving online customers a window into the world of this west coast coffee powerhouse. Take a look at their coffee. Never heard of the companies? Good, because they’ve made it a point to source the best coffee from local roasters who care about quality over quantity. 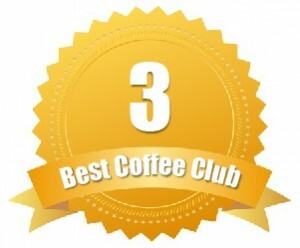 A quick scroll down the coffee selections will show coffee from countries like Kenya, Ethiopia, Panama, and Guatemala. You can shop the selection of natural flavors like caramel, black cherry, and cocoa powder all on the extensive Bean Box store. They’ve made sure to bring you coffees you’ve never heard of, and it shows! 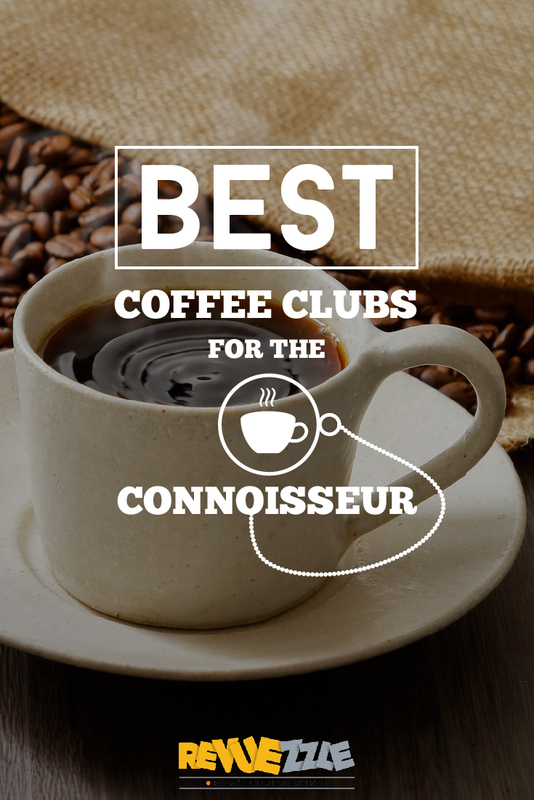 It costs $20 per month for 7.2 ounces of coffee if you want to sample four different types of coffee. 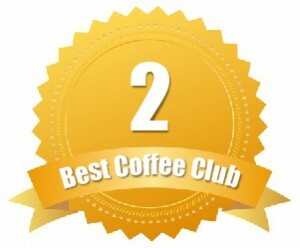 The other club ships one or two bags of the coffee of the month equaling 12 oz. per month for the same price. This includes tasting notes and information about how the coffee was grown, etc. How many roasters do they source from? 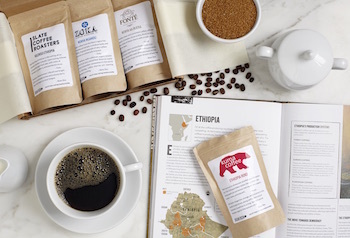 Bean Box sources from 17 local Seattle roasters like Seattle Coffee Works and Ladro Roasting. The sheer selection at Mistobox is enough to make your head swim. I count over 180 different coffees from over 30 different roasters in the shop. Roasters from all around the United States make up the different coffee selections, including companies from Maryland, California, and Wisconsin. In fact, Mistobox makes a good effort to try to include every state, including companies from nearly 20 of them. Take Case Coffee roasters from Oregon as an example. They source beans from local farmers—and they actually know their names! They think this human element adds to the quality of the beans. 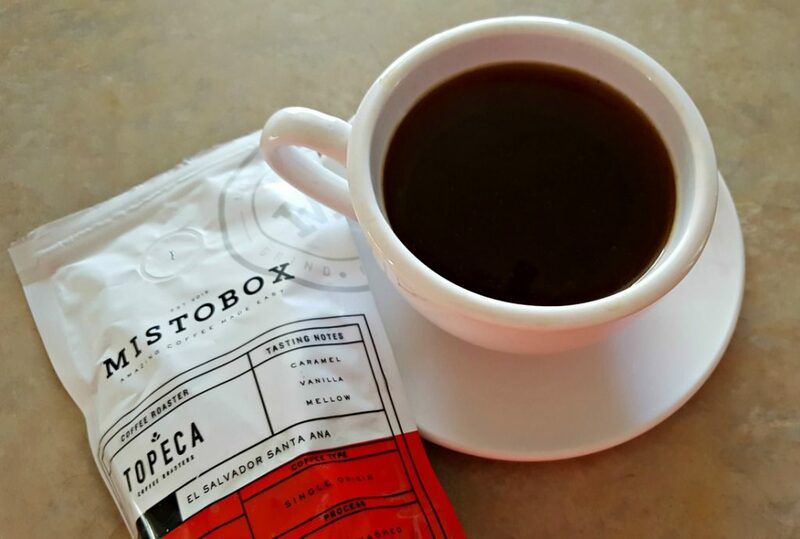 You can find 30 other great roasters like Case Coffee all on Mistobox’s website. 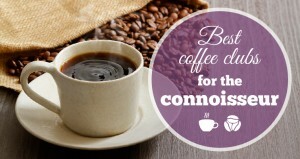 Want to learn more about coffee? Visit the “blog” section of the Mistobox website for tips on brewing and other helpful hints. 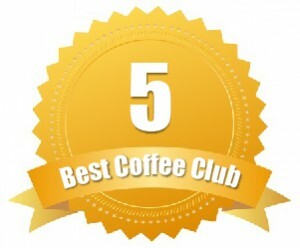 A stylish, fun coffee of the month club. 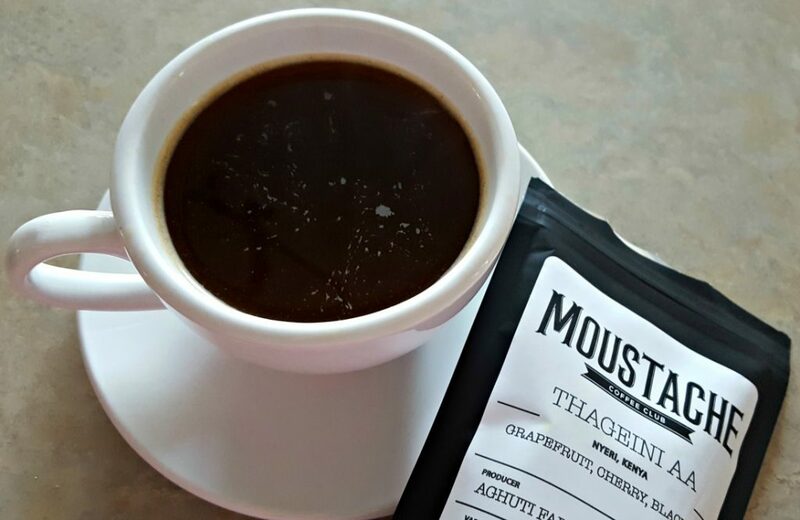 Moustache Coffee Club’s beans are so fresh they invented a Start Drinking On date. Their team tests hundreds of single origin coffees that are made from award winning roasters only. Then they hand select the top varieties to ship to customers. It sounds like a drawn out process, but that’s just because they want to give customers in-season coffee that’s bursting with flavor. 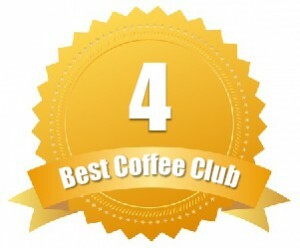 They mention their coffee club was started out of the frustration of getting stale coffee in the mail, and that’s why they ship beans that are roasted on the same day. Moustache has clubs that ship weekly, biweekly, and monthly. Each shipment costs $19.99 for one 12 oz. bag of coffee. Not a bad deal for the best of the best in coffee beans. Want a free trial? Moustache does give customers the options to try coffee before the subscription starts. A 2 oz. sample of coffee will be sent free of charge to your door.